Can you recall that moment before something big happens? Where your heart starts racing, your palms are a little sweaty, and you feel wound-up on blinding anticipation? This feeling was downright tangible within the streets of Siena, Italy the day before the biannual Palio di Siena, a giant Horse Race ran in the Piazza del Campo where the different Contrade, or city wards within Siena, each compete by supporting one horse in friendly competition against one another to become the winner and hold bragging rights within the city for the remainder of the year. 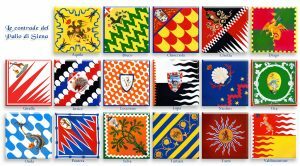 People were bustling around, laughing with those in their same Contrade, adorned in their region’s flags representing where they belong within the city, or glaring at their competing adversaries. The whole city was alive and buzzing, feeding off the energy of one another, united through the fact that they are all a part of a tradition from the Medieval times. To see the comradery of people from each part of the city and from all walks of life, bound in spirits with the entirety of their community for this big celebration was something I feel so incredibly privileged to have witnessed. 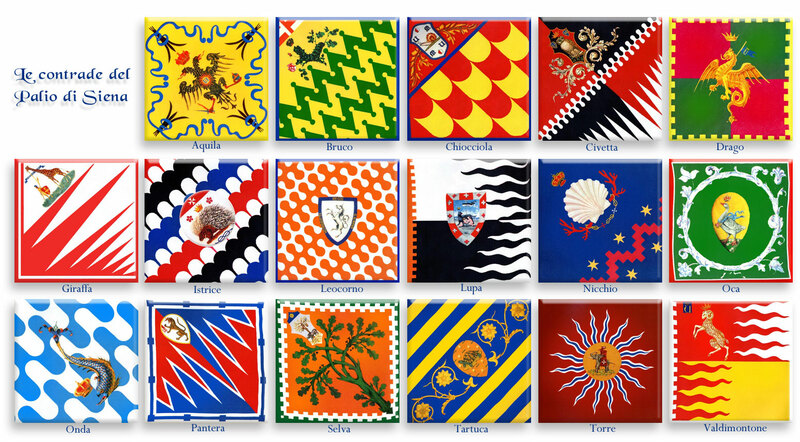 Walking down the decorated streets of Siena, embellished by their respective Contrade flags, and taking in the sights and sounds was a time when I felt the most immersed within a community – and this community I was not even a real part of, just an innocent onlooker! The people were welcoming and held together in these times of sweet competition; the beautiful culture of what I was witnessing was so different than anything I had ever experienced before. A whole city, united toward a common goal, a celebration of their times and a pride for their residence. The only thing even resembling this comradery in the United States is that anticipation within one’s states ahead of the annual Super Bowl. 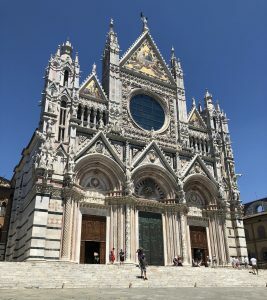 Duomo di Siena featured at the heart of the city. 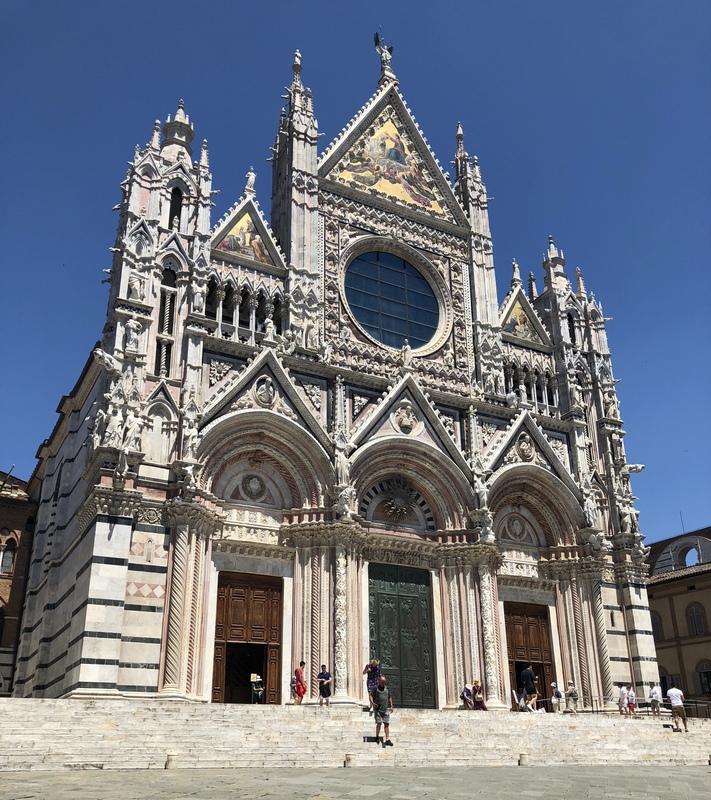 However, once the game is over here in The States, the togetherness would eventually fade, whereas in Siena, community and togetherness were instinctive during the entirety of the year. The culture surrounding this abounding time was such a shock but also a privilege for me to witness. As I watched members of rival Contrades smile and laugh with one another, I was reminded of the power of unity and how and why I fell in love with Italian culture in the first place. 1 Comment to "Cultural Revelations at the Palio di Siena"
Your words have “painted” a vision and feelings.